"Vucic is an Albanian son; Dacic is a Croatian Catholic from Kosovo. That's why Hashim Thaci turned on toward Russia?" In a Serbian TV on TV show "Udarna Igla" he said that "Aleksandar Vučić, supported by Serbian narcotics mafia, is Albanian; Ivica Dacic, is a Catholic Croat of Kosovo (Janjeva), Ceda Jovancovic-Gypsy, while Vuk Draskovic-narkoman .. "
According to him, "This was seen by the recent meeting with the Russian president. Putin, despite Thaci's asking for help from Russia, has demanded from the Kosovo president the abolition of Kosovo, in this way the case of the International Court of Justice fails, which assured ten years ago the territorial integrity of the so-called state of Kosovo." "By correcting the borders Kosovo will continue to function under the UN Security Council resolution 1244 and in the coming years will gradually become a part of Serbia's autonomous part," Serbian media writes. 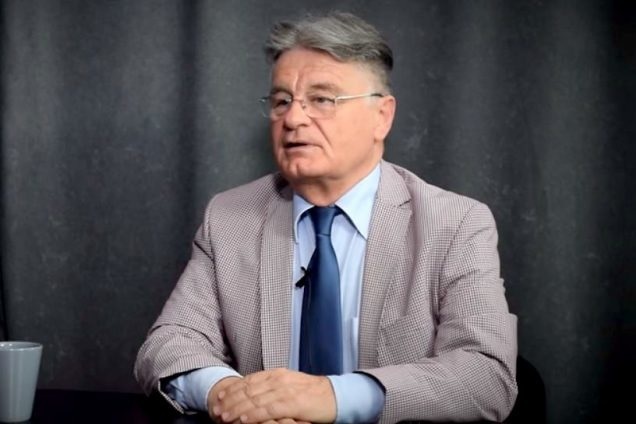 "Dejan Lucić does not stop, he has shocked all over Serbia by revealing that Fahri Musliu, this Albanian who as RTK 'journalist' has worked for the Security, is the true father of Alexander Vucic! (“Dejan Lucic sokirao Srbiju: Fahri Musliju, je pravi otac Aleksandra Vucica!”) Had it been the opposite, why Vucic does not makes a DNA test in order te shut off the mouths and oppose publicly with facts, that he is not the son of Musliu?!"